Every year, thousands of Americans move to a new home. However, as the peak season kicks off during the spring and summer, moving companies begin filling up their calendars at a much faster rate—and it can get difficult to schedule a move without booking far in advance. For this reason and others, it’s highly recommended to plan your move around peak season to avoid the hassles that come along with a busier relocation time. Bekins of South Florida has been serving homeowners in South Florida and other nearby areas for decades now, helping them plan, organize, and execute their residential moving projects. We know how difficult and stressful moving can be at any time of the year, which is why we’ve provided this resource to help you plan a less complicated and more convenient moving experience before peak season hits. Moving requires plenty of planning and organization. The most effective way to stay organized during a move is to create a dedicated moving calendar and a checklist or your belongings. This way, you’ll determine the best dates to complete each step ahead of time, and an inventory of the things that you are planning to move for insurance and packing purposes. Staying organized will help you to keep track of the things that need to be done. It’ll also help you to be aware of what you need to do to avoid moving during peak season. If you need help creating a dedicated moving calendar and checklist, contact your professional moving company to schedule an in-home consultation and pricing estimate. At Bekins of South Florida, our customers meet with a moving coordinator during this initial consultation to discuss pricing options and to create a strategy to help you get organized for the move. During peak moving season, you can expect to pay higher rates that correspond to the rise in demand. To avoid paying higher fees, meet with several moving companies to discuss rates and how different dates might affect the total cost of your move. You can also ask the moving specialist to help you determine how to pay less for your relocation by scheduling around peak season, and if possible, adjusting your moving dates accordingly. Scheduling movers around peak season will also allow you the opportunity to explore your options. It’s recommended to perform a price comparison of at least two or three reputable moving companies, choosing the one that you feel most comfortable with in regards to price, services, and other factors. During peak season, however, you might be stuck with just one option (or none), especially if you book too late in the season. For this reason, it’s important to start early or wait until after peak season is over (after Labor Day) to be eligible for the best services at the lowest prices. Springtime means time for spring cleaning, which is another reason why it’s such a great time of the year for moving. If you can start early enough, you might be able to clean out your home in time to move before the peak season begins. If you wait too long, however, you might not finish in time before the peak season starts. What many people don’t realize is how intensive the decluttering process can be, and how long it can take to complete. Be sure to plan ahead to allow yourself time to sort through all of your things—and to determine what you’re taking with you to your new home, what you’re throwing away, what you’re donating, and what you’re selling. 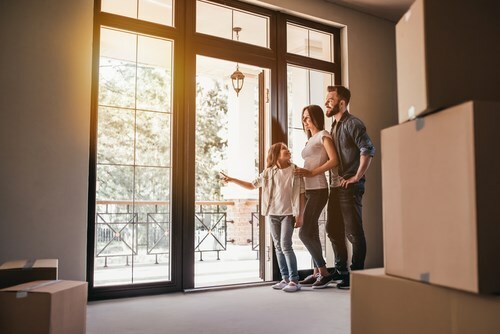 Whether you are going for a short- or long-distance residential, commercial, or a specialized move, Bekins of South Florida can help you plan and execute a smooth and successful moving project. With more than five decades of experience, we’ve managed to establish a solid track record of satisfied clients through our team of professional movers, packers, and drivers and top-rated moving solutions. We’re equipped with professional-grade moving supplies, a fleet of top-of-the-line moving trucks, and other tools and technologies that allow us to provide a truly exceptional level of service for moving our customers around the world. As evidence of our commitment to excellent quality services and customer satisfaction, we’re proud to have earned industry-related awards and accolades, such as the Best Moving Company award from the Daily Business Reviews (2012-2017), Agent of the Year from Bekins Van Lines, and an A+ rating from the Better Business Bureau. 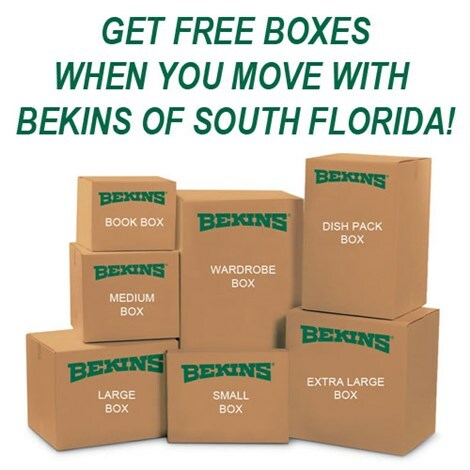 To learn more about our superior moving solutions, give us a call at Bekins of South Florida today. If you’d like to have an agent contact you with information about our in-home, no-obligation pricing estimates and consultations, take a minute to fill out this quick online form.